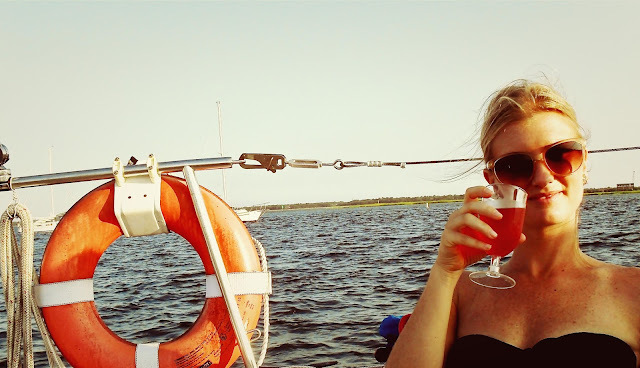 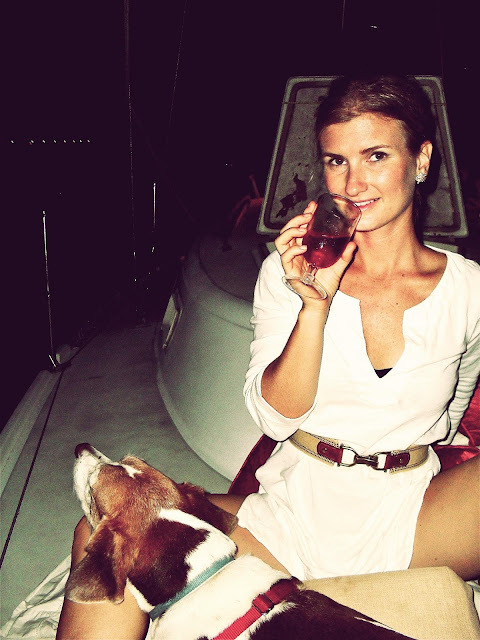 Quiet little happy hours on the boat with my husband are going to be some of our favorite memories here in Charleston. 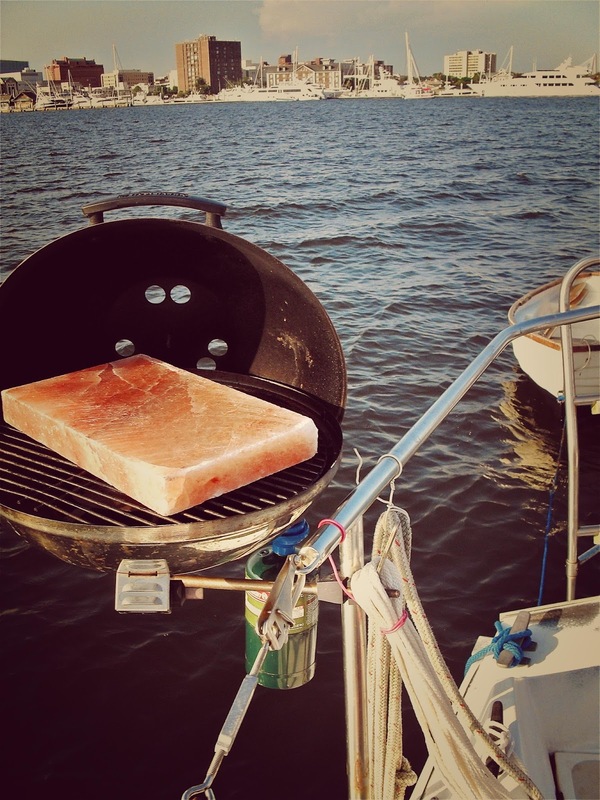 The sailboat has a grill but it is a little difficult to lean over and cook without the threat of losing a few goodies whenever a good wave tosses us about. 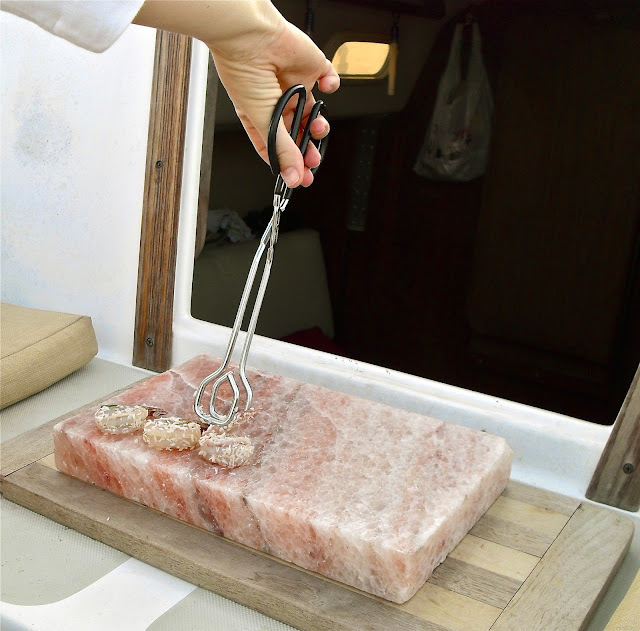 The solution, a Himalayan salt block. 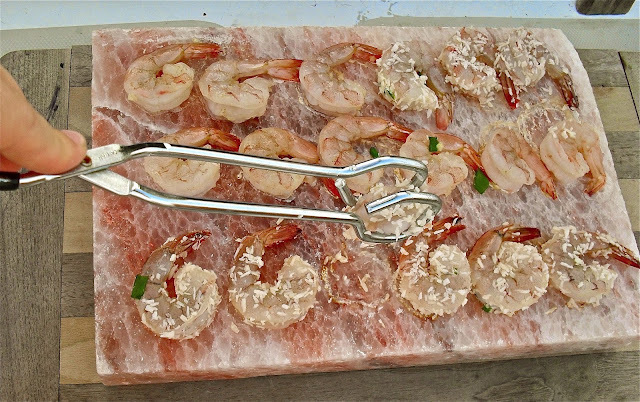 This is used to cook fresh meats and veggies either while it is on the grill or out on a table. I heated the salt block on medium for a half an hour and then placed the salt block on a cutting board for easier reach. 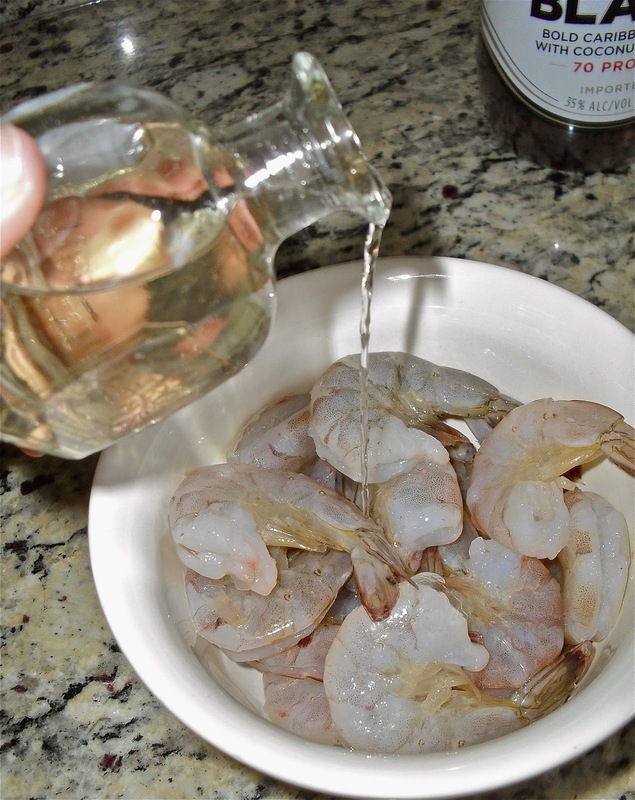 Cover the warmed block with a little olive oil and then cook your food. 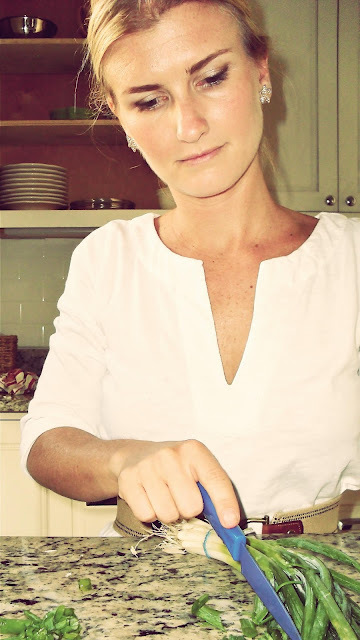 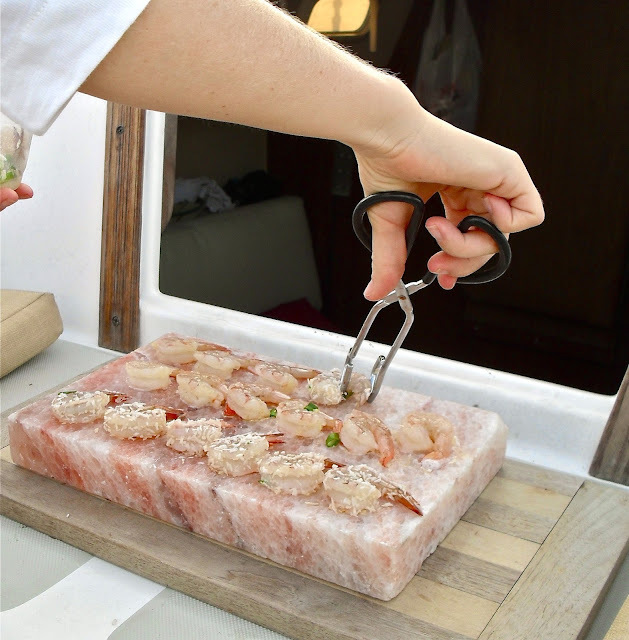 The flavors of the salt block's salt and minerals are incorporated into the food cooked. 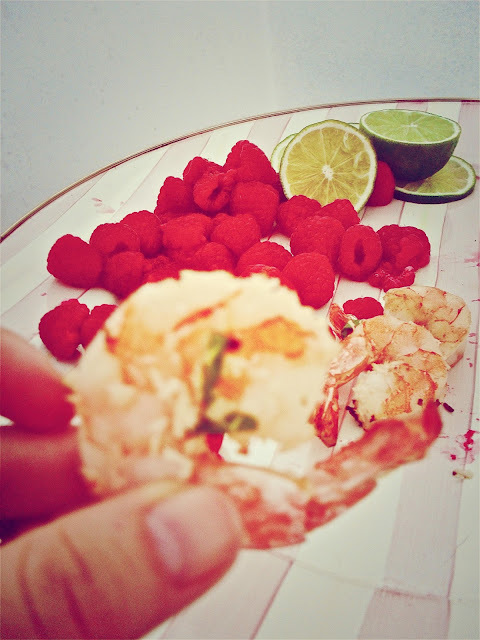 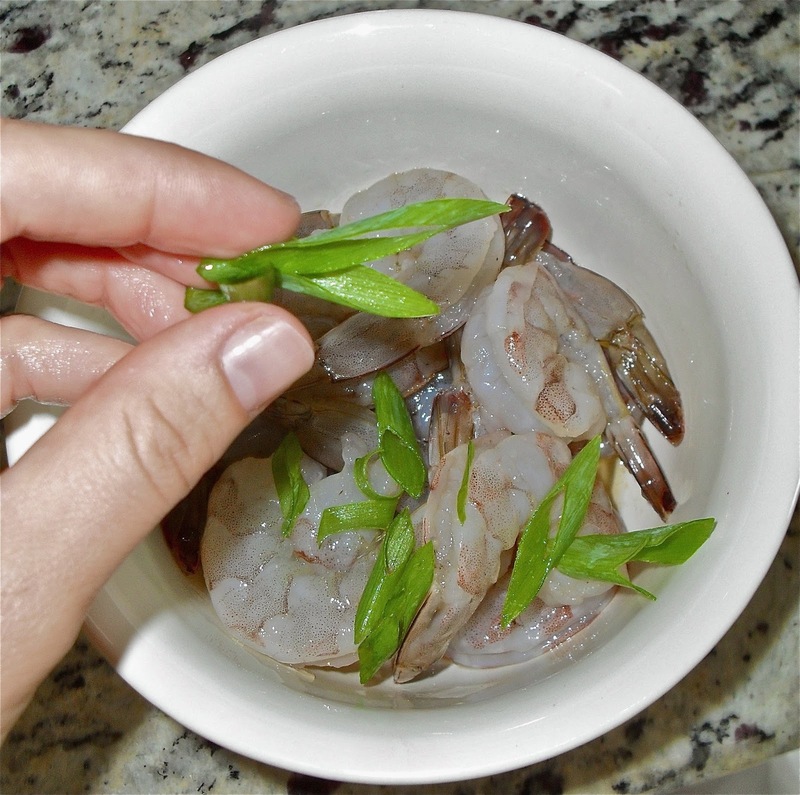 -1 lime to squeeze over cooked shrimp before serving. 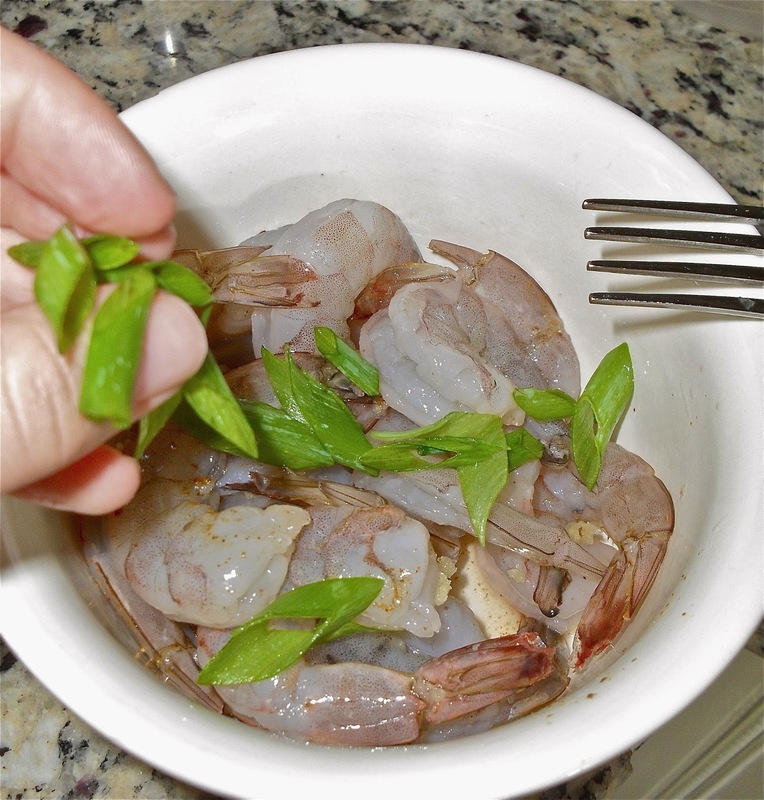 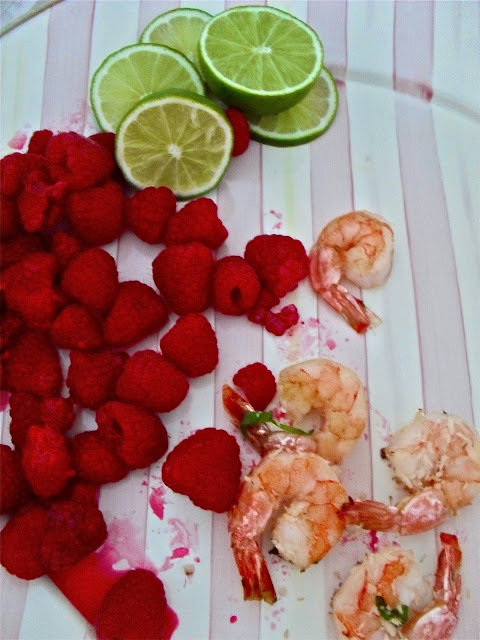 Use the above recipes to marinate your shrimp for at least an hour prior to cooking. Grab a lb. 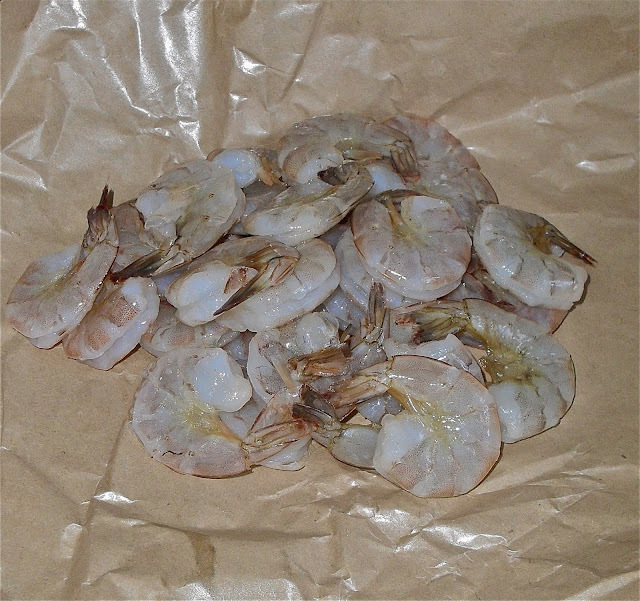 of shrimp from your local grocery. Marinate half of your shrimp in the tequila. 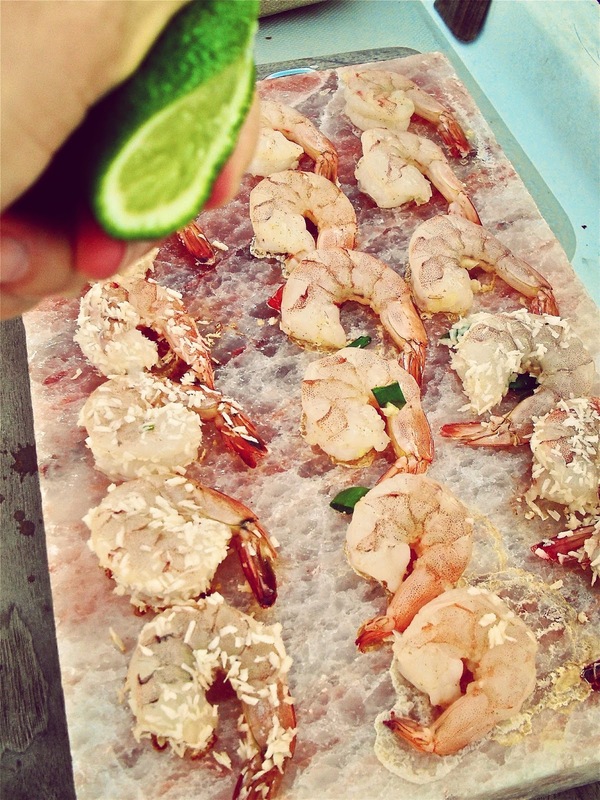 Pour your coconut rum over the other half. 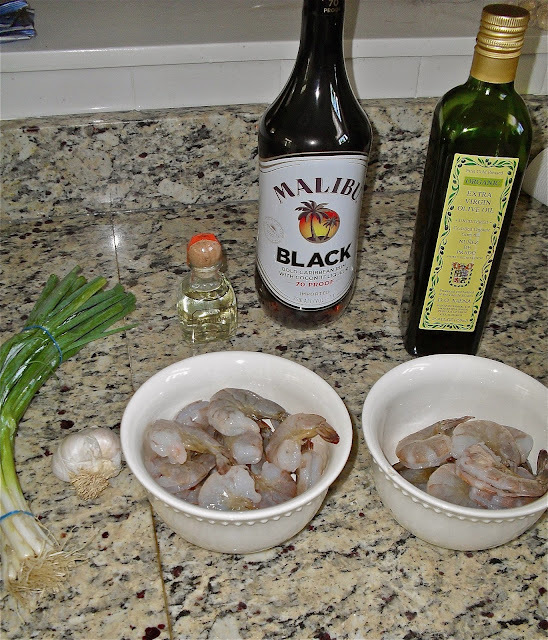 Crush your garlic for the shrimp marinating in tequila. 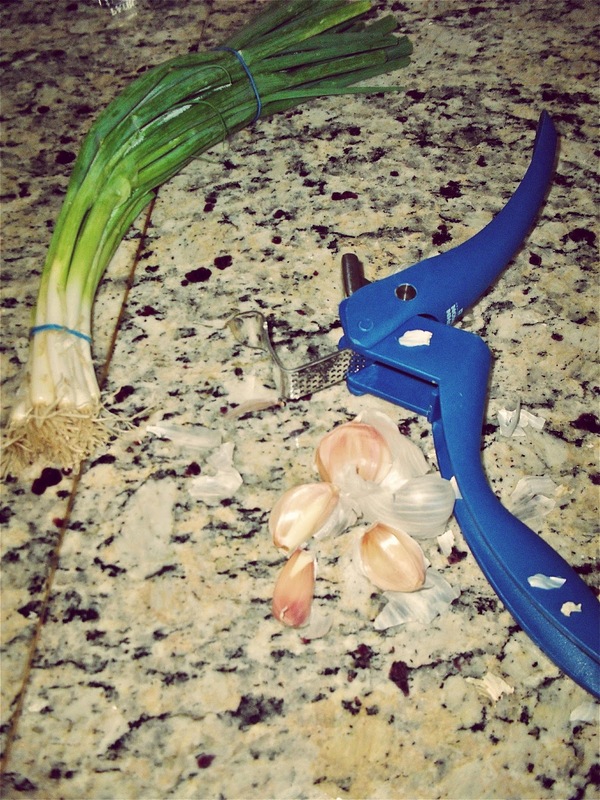 Both recipes call for spring onion. 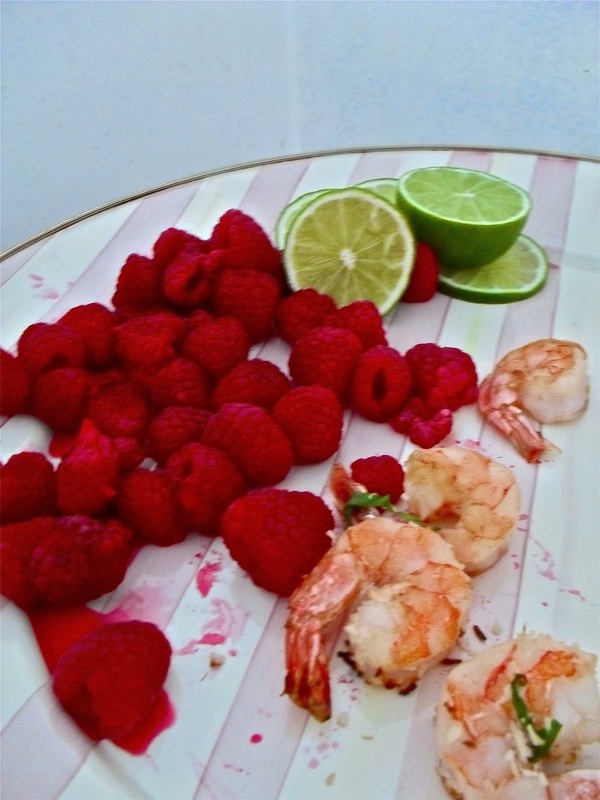 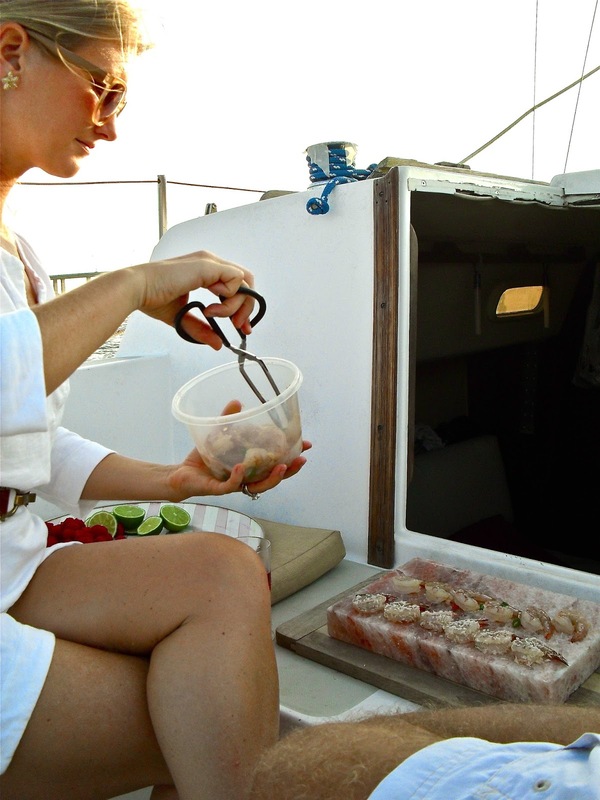 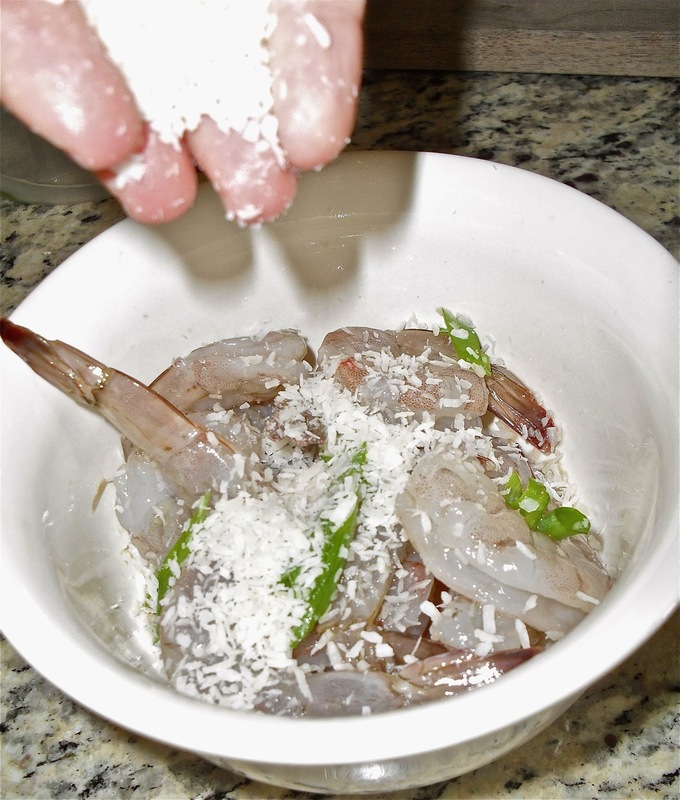 Add your shaved coconut to the shrimp marinating in the coconut rum. 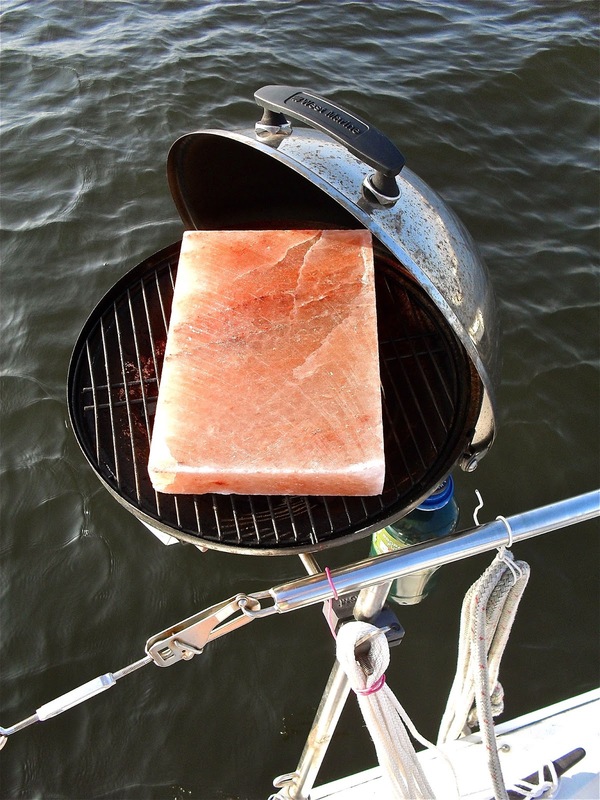 Now to cook, place the salt block on a grill or in the oven on medium heat for 30 minutes. 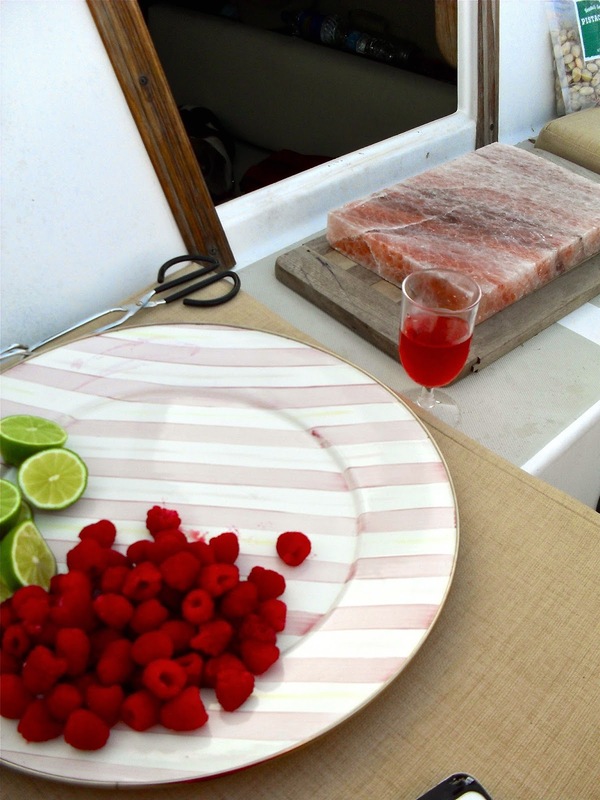 Remove the salt block from the grill and place it on a cutting board in an area where you would like to cook your food. 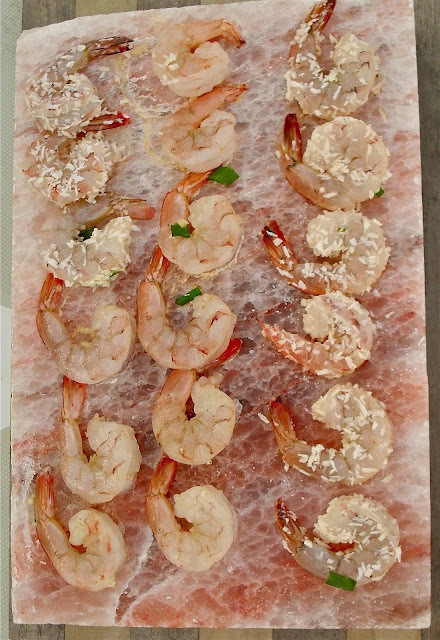 Lightly cover the salt block with olive oil and then place your food on the block to cook. 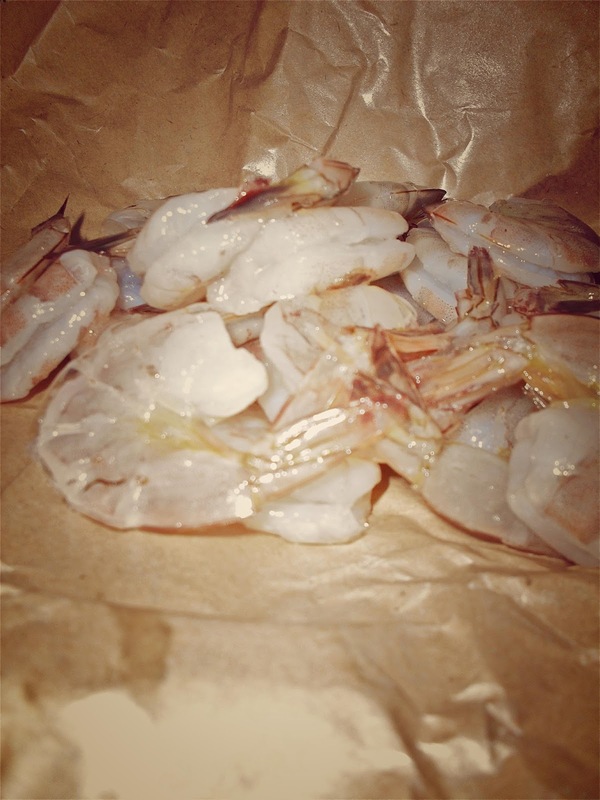 Turn your shrimp or meat once half of the shrimp has cooked. 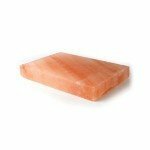 Buy your Salt Block here or at William Sonoma online. 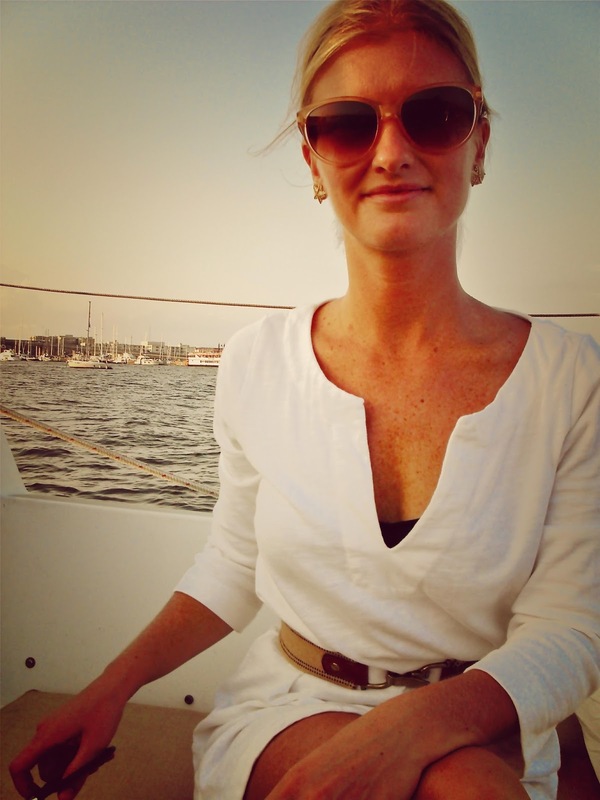 Bathing suit cover up is from J.Crew and sunglasses are from Ann Taylor. I have posted similar items below, click on the image. 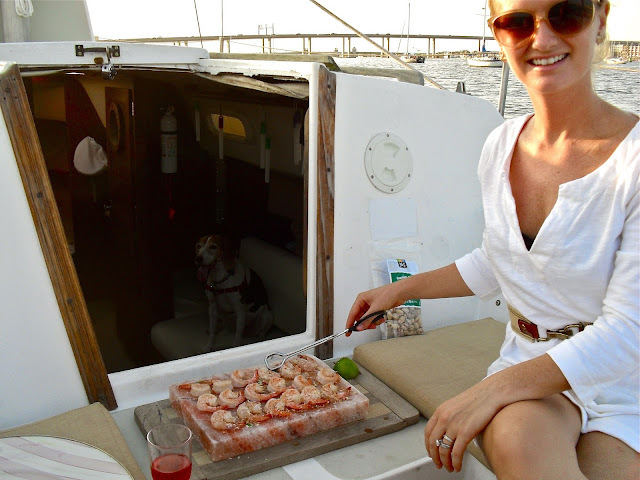 There you have it, shrimp on a salt block. 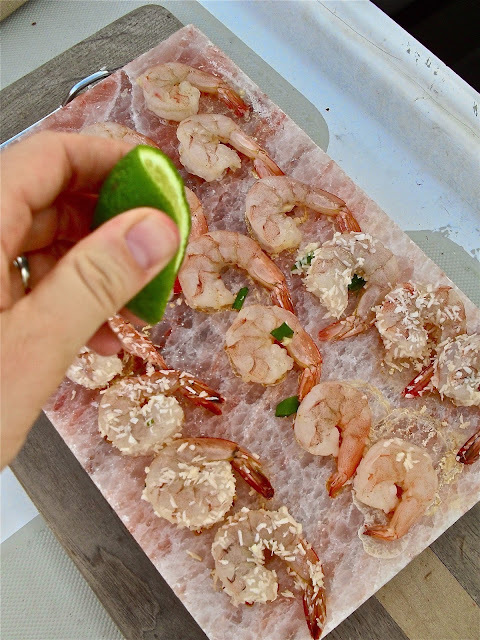 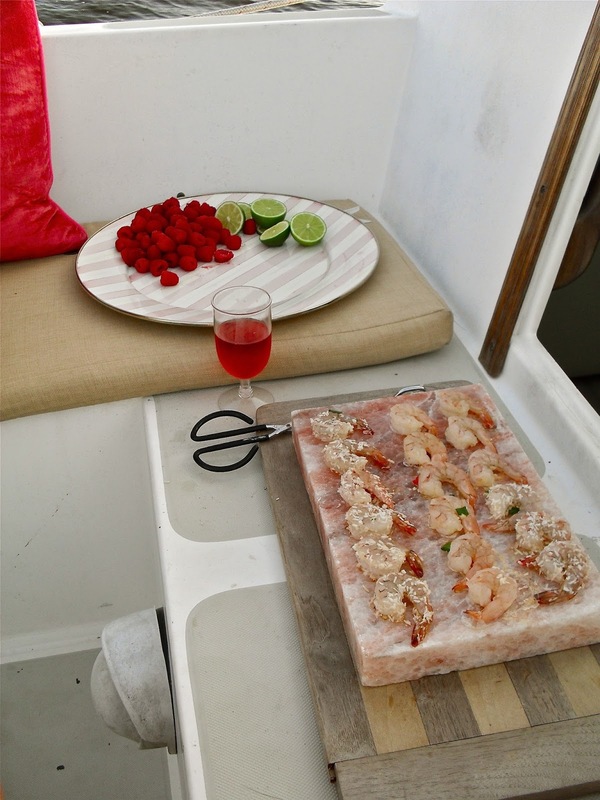 Don't forget to splash the lime juice over the tequila-lime shrimp, it finishes so nicely. There is a hint of salt flavor from the salt block so don't add any salt to your marinades. 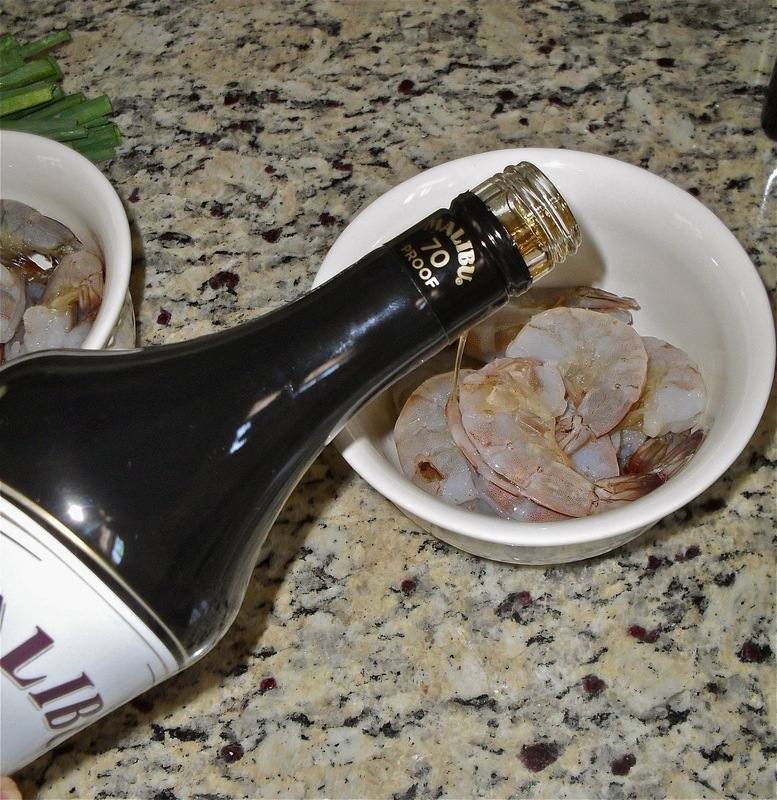 My husband said this was the best shrimp he has ever had. It was pretty amazing and I felt like it would be difficult to overcook the shrimp. 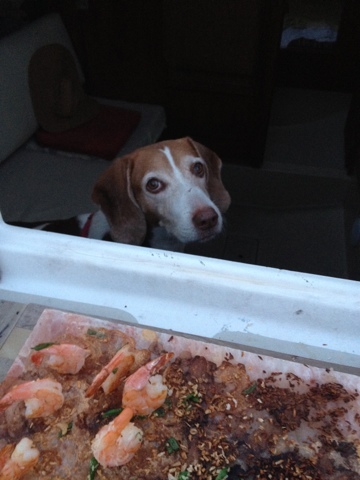 I will be cooking some fish on this block soon for this very reason. 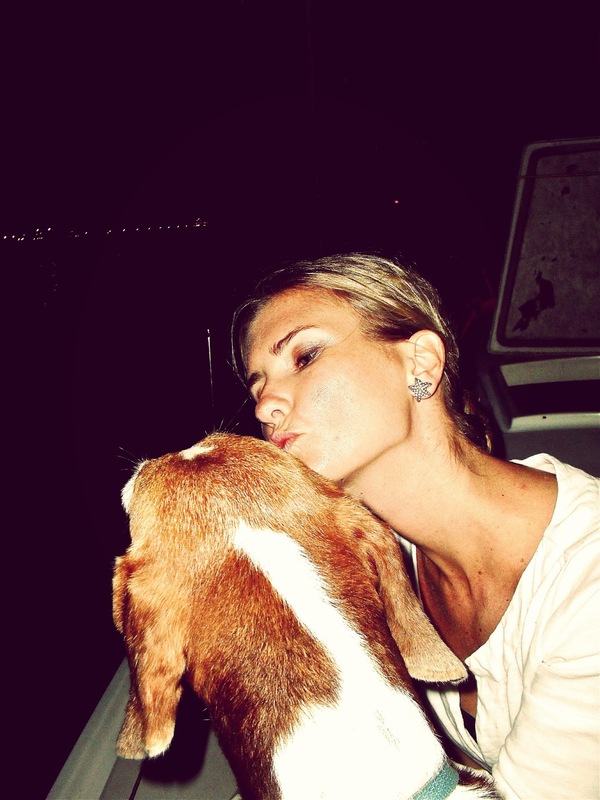 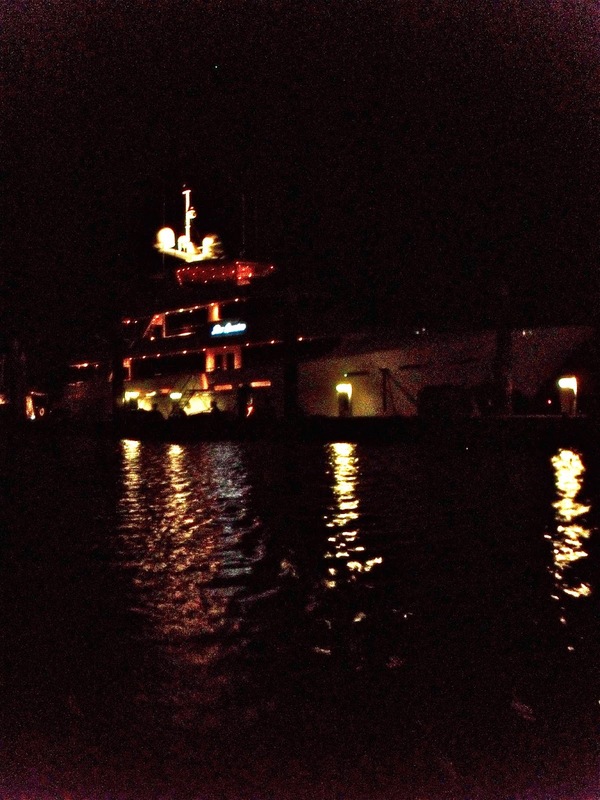 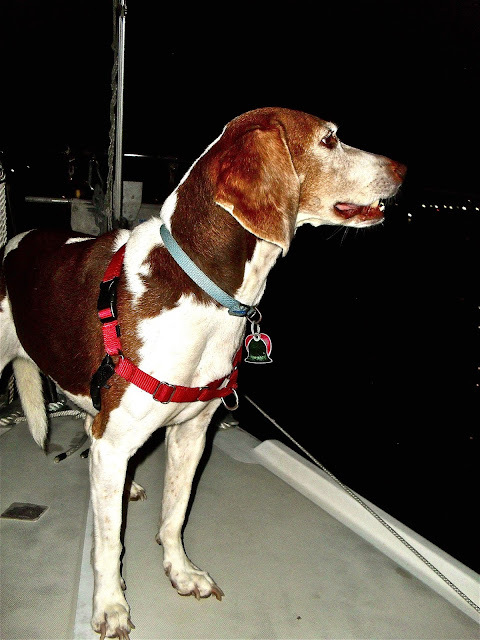 We finished the night on the bow of the boat enjoying each others company and watching boaters pass by. 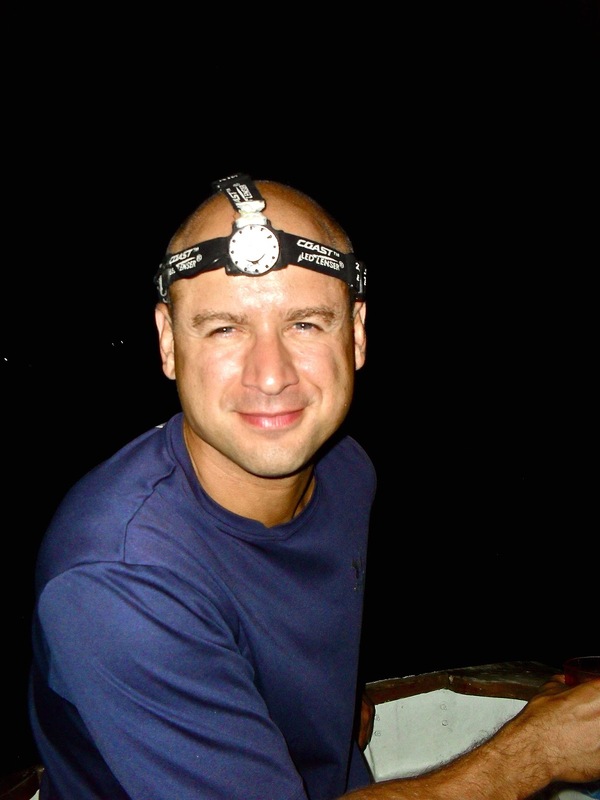 Mark made sure we got home safely on the dinghy with his trusty head lamp.